Happy Halloween, and welcome to my stop on the Trick-or-Treat Book Blog Hop! 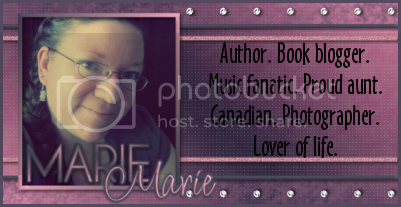 For those of you who haven’t been to Ramblings of a Daydreamer before, I’m Marie Landry. I write young adult, new adult, and adult contemporary books. If this happens to be your first stop, or if you’ve made it here on your own and not through the hop, here’s how this works: this Halloween, instead of trick-or-treating for candy, our fearless leader, Patricia Lynne, thought it would be fun to trick-or-treat for books. As much as I love candy, I love free books even more, and I’m sure I’m not alone. So, do you want a free book? I have 5 books to choose from, so reach into my little back of tricks and pick the book you want. If you’d like one of these books, it’s yours! Just fill out this form, telling me which book you’d like, what format you’d prefer (mobi, epub, or pdf), and your email address. I have the form for people who don't want to share their email address publicly, but if you want to skip the form and leave your info in the comments below, feel free to do so. Some of you might be wondering if there’s a catch. There’s not. Honestly! However, if you like to write reviews for your blog, Amazon, GoodReads, Barnes & Noble, etc., and you feel like writing a review for the books you receive during this hop, that would be a really nice treat for us authors! It’s not necessary - this really is a no strings attached hop - but reviews really do help authors, and they’re always greatly appreciated. Be sure to keep trick-or-treating for the rest of the day. There are lots of free books to collect! What's your favourite part about Halloween? What's your favourite Halloween treat? Favourite spooky movie or book? Are you doing anything fun to celebrate Halloween? What's the best costume you ever wore? I'll skip the form :). May I have a mobi copy of Waiting For The Storm, please? My email is sophie@wittegenpress.com. You're welcome to pop by my blog if you fancy a free spooky read for Halloween. Cool! Thanks so much. Looking forward to reading. I look forward to reading and reviewing your book! Happy Halloween from a fellow blog hopper! Trick-or-treat! I love spooky Halloween decorations and sounds. Taking my kids around the neighborhood when it's dark outside is the best! Hi Marie! Just requested a book and am looking forward to reading it! Happy Halloween! Woot, woot! Thanks so much. Happy Halloween! I just filled out the form. Thanks so much for sharing your books! And I'm glad to have found your blog through the hop! Happy Halloween, Marie! :) Thanks for offering your books for trick-or-treat! Here for the blog hop! Hmm, fav candy. Reeses pumpkins. Or maybe the york bats...too many to choose from, just like all these books!